Many of you have no doubt heard of Skunk Software by now, a somewhat recent developer that has drawn plenty of criticism on the Wii U eShop. If you'll take a look at the company's page, Skunk Software's average review score is sitting at a solid 3. Whether or not you think that score is merited, it seems the company is now opting to use a more aggressive marketing strategy to get its games onto people's consoles: it's literally giving one of its games away. For those of you in North America, The First Skunk Bundle is now available for free, but here's the kicker: the game typically costs $25, so you'll receive 30 My Nintendo Gold Coins for the free download. We tested this ourselves and it does indeed work, so the only thing you really stand to lose is the few minutes of time it'll take to add this to your collection. And, as a plus, you get a chance to try one of the latest releases from Skunk Software. What do you think? What'll you do with those extra coins? Have you played anything by Skunk Software? Drop us a comment in the section below. Still wouldn't be worth the space on a Wii U.
extra points for free. i'll take it. the points got me to download it. I suppose I'll try the game while I have it too, though from what I've read here...my hopes are not high, haha. Must avoid a punny remark. Must avoid a punny remark. worthy only for the 30 points. Does anyone know how long this will last? 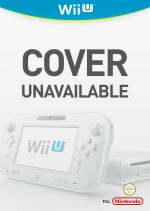 Next best thing to a virus for Wii U? I wouldn't dl that crap for 60 gold coins. ^one eshop game worth your time. 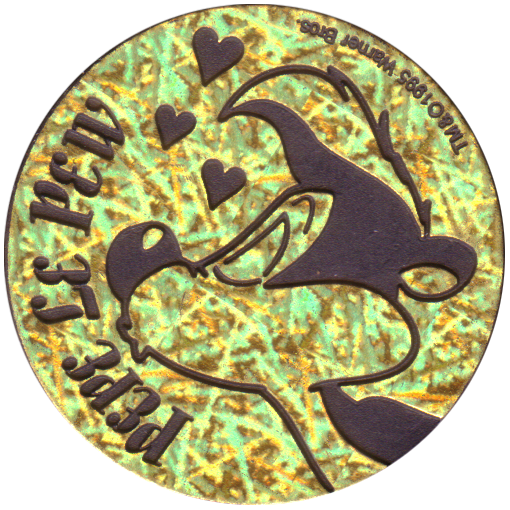 Not that gold coins are worth anything noteworthy. Same problem as Club Nintendo. The discounts/games are games everybody has anyway. @AfterAnAutopsy You can just delete it. I deleted it as soon as it started downloading. Hey, free Wario Land 3 I guess. So Skunk Software DOES have a use...for gold coin farming. I'll brave the download just for the freebie coins since it's normally difficult for me to accumulate them. 1. This download is "free" until the 30th. @Mega_Yarn_Poochy Something does happen when you hit a score of 420 in Snake Classic. Well, might as well get a free 30 more points in the hope eventually a use for them will arise, I suppose. See also how even with both games and a few of the 3DS themes that could be gotten with them I'm still sitting on like 1,200 Platinum coins with nothing to use them on. 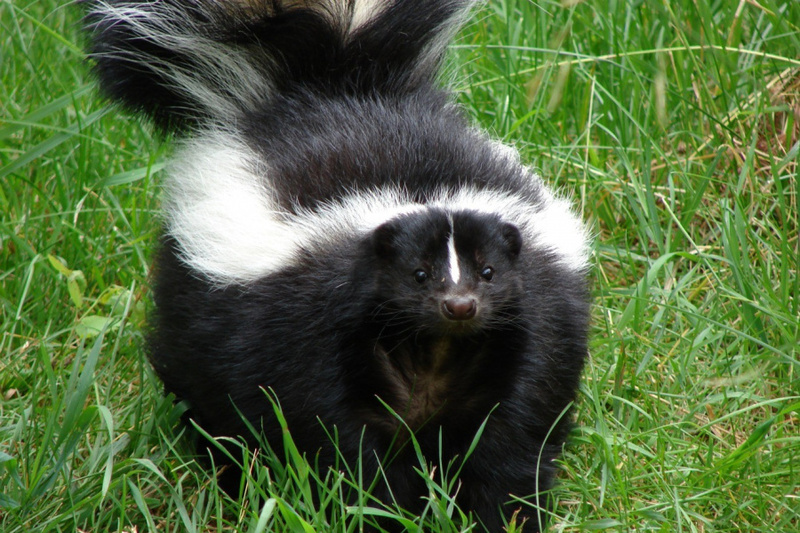 Perhaps they're called Skunk Software because their games stink? Oh my. Had to make another NNID and Nintendo Account for that NNID because it's M-rated and wouldn't let me download but it was worth it. Currently enjoying Metroid II. Maybe I'll play this Skunk Bundle to make fun of it on Miiverse for a bit. You know they're getting desperate(?) when none of their games are being sold well and their games have the quality of a skunk's rear end (heh) they'll have to pull this off to get their 15 mins of fame. Could've helped to have the Skunk guys to have a offical miiverse post about this...huh. Free coins! I know nothing about this Skunk Software. Perhaps it is a good thing I don't? lol. "A collection of five full featured video games." Mm... sure. Unless Skunkie's decided to take the RCMADIAX route, and sell some premade freeware for $25. Normally I'd download anything free but for the first time in eShop history... I may be inclined to make an exception. I just made sure to redeem, then deleted the download before it got far along. Easy 30 coins...just not much to do with them right now, lol. @sillygostly Just download it and immediately delete it. What wrong with free Gold Points? @sillygostly @Mega_Yarn_Poochy Surely there will be better things to spend them on within a year from now with NX and all the initial mobile games out. I'm wondering if they got in trouble for all the Copyrighted music and that's why they switched it to free in the guise of a promo? The coins put me over 60 so now I can get the Mario Kart DLC which is cool but I just had to try it out of morbid curiosity and good lord did this shock me with how bad it was. To be fair, I've only done 3 of the games so far but wow! The Haunted House game was just sad, uninspired and choppy. The 3D "Platformer" was barely playable and the overhead shooter forces you through its painfully long opening every time! I'm gonna grit my teeth and get through the remaining games and then this is being banished from my Wii U storage forever. I do have to genuinely thank Skunk Software for essentially getting me the Mario Kart DLC so thank you guys. @faint sure, but is this really what it's come to. You guys are essentially saying it's ok just because you're getting free coins out of it. They don't deserve my time when they so clearly don't care about their audience. Seeing how they couldn't market to kids and dumb parents, they're now targeting edgy teens. I mean really, M rated? This is from the same company that couldn't teach basic math. Good for you guys I guess, I have no use for gold coins anyways. This game. It lowered by IQ. I don't even care, there's nothing worth spending gold coins on anyways. MyNintendo sux. @Mega_Yarn_Poochy this deserves the m rating. I love how part of this amazing five game package ($25 so $5 per game) is a Snake ripoff. I guess they are trying for the free publicity and maybe to be on the top downloads list long enough that when the sale is over some foolish people actually buy this game. Oh well free 30 gold coins I guess? @Zach777 We are getting new gold games next week. Also, the coins won't expire until next September, allowing you to say up for some stuff during stage 2 of My Nintendo: the NX period. Thanks for these 30 gold coins Skunk Collection!!! @AfterAnAutopsy i'm giving the game a chance before i decide anything. i shall edit this after i play it. edit: ok yes its bad but not all bad the snake game is atleast good i think. @AfterAnAutopsy it took 30 seconds to download load it and less time to delete it. What time is being wasted? The my Nintendo offers get updated the 1st of October. I feel like you are taking this to seriously. There are plenty of things in the world worth taking seriously. Plenty of heart breaking awfull things. Free coins is just a bit of fun. Loosen up a bit will ya. They're giving away something (games or coins, your perspective) and they're getting crap in return. How about "thanks" for those who download it? If something similar comes to Europe, I'll probably download just for the coins on my other accounts but not on my main account. You guys have gotta review this. It's hilariously bad. Snake Classic: Welcome to gaming on an old Nokia phone! Did what it sets out to do, no more no less. Not bad. I do like they gave players the option to use the A, B, X, and Y buttons to control direction for thise who like their movements to "click". The 420 Easter egg was...well, made me wonder about their HR's drug policy (if it even exists...which might've explained a few things about some other games). Catchy: Slow pace, clunky controls, and inconsistent visuals. I've played better games ten years ago from the Dreamcast homebrew scene (I also want to add that Miiverse took this comment down when I posted it. Guess they didn't like the Dreamcast name drop...kind of like how a PlayStation executive was banned for saying he liked "PS"). Anubis II for the Wii was a masterpiece compared to Catchy. Bomb Blaster: Probably the best of the lot after Snake Classic. Reminded me of a 2D version of Boom Block with some Angry Birds thrown in. Overall, is it worth $25? Absolutely not! Is it worth the download space since it's free for now? ... ehh, you might find a game or two you'll enjoy (and you'll get your thirty Gold coins). Hmmmm.... you, sir, have made some impressive, considerably good points. also, what is up with the stolen music (i assume they don't own the rights...)?! I've already downloaded this one for via a review code, so I can't "buy" it for free and get the coins. That's a shame! Will it be available on EU eshop? It feels like someone trying to cash in on free homebrew games or the flash games that were so abundant in the 00s. Now it wastes even less time. That's a step in the right direction for Skunk Software. Maybe they've learnt to price their games according to their quality. @mjharper thanks didn't even think of that my wii u is sitting like a brick for a long time anyways even if it downloads it remotely from work not like i've been using it lol. Download it and get the coins people. Stop the funny comments and just get the gold coins. I will try it out cause no matter how bad it is someone took time to make and put it on sale for free. It only is right to play it and rate it for me at least. I'll download it for the coins and to play, cause why not. It's not like my Wii U will catch a virus as soon as I start it up. $1 for their Free Ballin ($9.99 normally) should get another 10 coins, but who's going to to that? sigh The fact that I don't immediatedly grab my WiiU Gamepad to secure those points is probably pretty telling as far as MyNintendo goes. Got it for the free coins. I was appalled how bad it was. Not sure how Nintendo's quality control let this game through. @Joeynator3000 Hey, only you knows. Only you. This will sit proudly next to The Letter in my 'crap' folder. @Qun_Mang Fans of Tom Petty? Maybe they're banking on this being the next "so bad it's good" hit to make the round on all the Let's Play YouTube channels. This is gonna be a stinker of a review. I don't know if I should spend 30 coins on metroid 2 or wait and see if something better comes in, except for adventures of link I have pretty much all the VC games I'm interested in. @daveh30 OMM I just spat my water at my monitor. Thank you for that chuckle. Downloaded because why the (honk) not. It'll be good for a laugh for a few minutes. And it'll give me the ability to make scathing, sarcastic posts on the Miiverse community. Just downloaded it.... Is that a piano version of "time of your life" by green day playing on the game select screen? I laught a lot after play some seconds of the zombie game in the the bundle. Is really bad. So bad, wrich I laught. This thing is worth just for the coins. And some not intentional laughs thinking how someone could do games this bad. @chiefeagle02 So what's the 420 Snake secret? I couldn't stand playing the game long enough to get there. @TerrapinJess They might sound fun, but they are the opposite of that. Don't know if i should get donkey kong 3 or wait for the new october games. ..well, ...thanks for the coins Pepe..
@chiefeagle02 Probably the reason they took it down was because you mentioned home brew. Whoever admins Miiverse is ban happy when talking about mods or anything of the sort. It's insane how many people get banned for even vaguely talking about Project M.
@Mega_Yarn_Poochy OH MAN YOU WERE RIGHT. How is this worth $25?!? Seriously all I have left is Green Day stuck in my head from the main menu. What a JOKE!! @siavm I tried the haunted house one because I love the idea... well... let's just say it ended with me going "NOPE." @Mega_Yarn_Poochy Everything turns various shades of green. @Spooj I think you're right. @siavm: I completely agree. Will download this today. If it's free, it's usually for me. I download, prolly try these later. Is it really as bad as people say? The eShop rating for this game (out of 29 ratings) is abysmal, and usually they are overinflated. I've seen games with two stars (out of ten) on Nlife get four stars (out of five) on eShop. Why so few? Maybe a bunch of guys downloaded and then delete? IIRC you need to play a game for at least an hour to rate it in the eShop. @VR32F1END Hey now take it easy on TreeFall. It's one independent guy who actually tries to make good games from scratch.